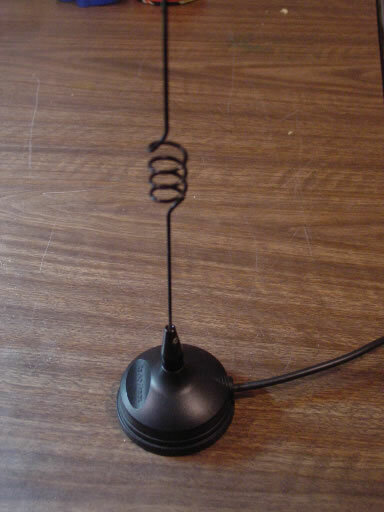 I picked up a neat little Radio Shack mobile magnet mount antenna for a great price (free) recently. I took it home, and couldn't find any model numbers or information on it. Despite it looking a lot like a dual band 144/440 antenna I have, I found it actually was a CB antenna. It seemed like too good of an antenna to junk, so I took a stab at converting it to the 2m VHF band. I opened up the base and found an odd circuit board with a spiral pattern leading to the center. 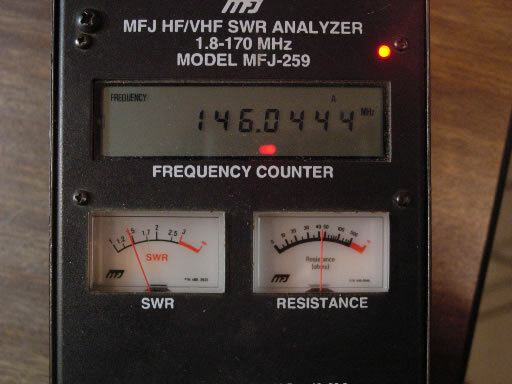 My ohm meter showed a dead short between the tip and ground of the PL-259, so it looks like that's some matching circuit to get the antenna to a reasonable SWR on the 27mhz band. First I drilled a hole in the circuit board and fed the center coax connector through. 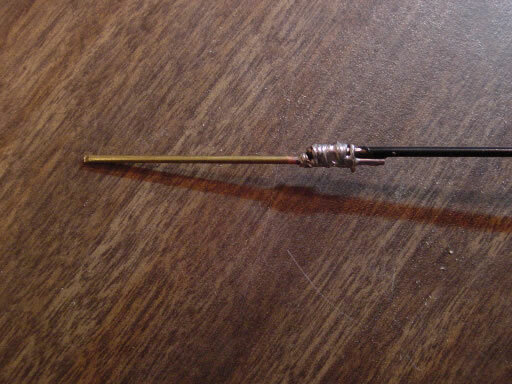 A short piece of solid copper wire connects from the coax to under the main bolt holding the antenna whip. A 1/4 wave whip is similar to a 1/2 wave dipole - it needs a second half counterpoise for the ground. 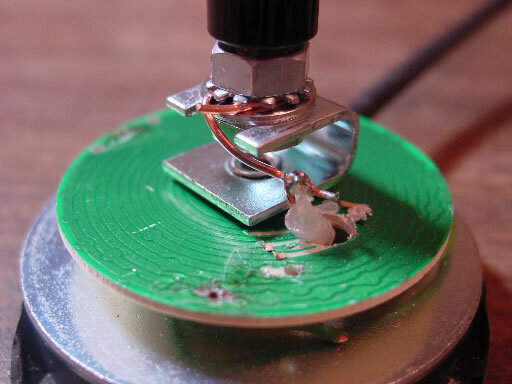 This is normally done with a car body or the metallic base for a mag-mount antenna. 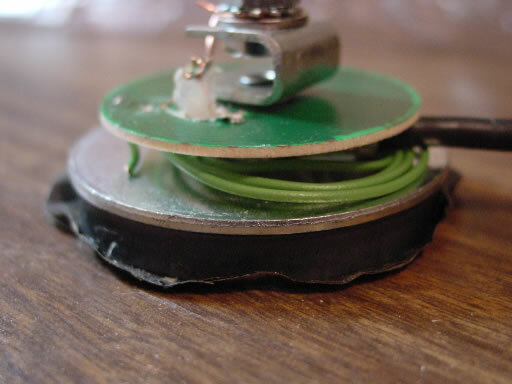 Mag-mounts don't have a direct electrical connection to the car, but there should be enough coupling between the antenna and metal to get it to work. I had fairly decent SWR curves, but they weren't particularly sharp. With some antennas, this can mean it's acting more like a dummy load than a radiator.